Jim Doiron, a patrol agent in our Safety and Emergency Management Department, is an active member of the Wounded Warriors Family Support effort. He invited me to attend a special meet-and-greet event June 23 with Lt. Gen. John Sylvester (Ret. ), a decorated Army veteran of the Vietnam War and the first Gulf War, who also completed three tours of duty in the Balkans with U.S. and NATO troops. 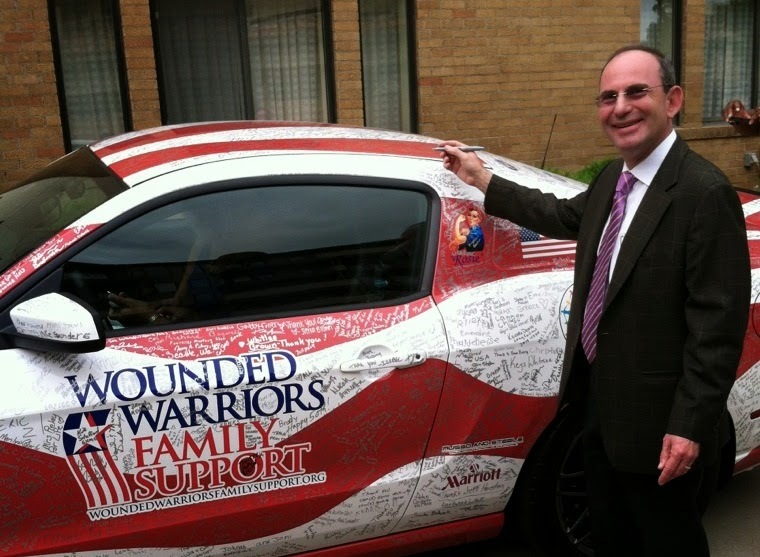 While there, I was honored to be invited to sign a special Ford Mustang that is touring the country and will eventually be auctioned off to benefit wounded warriors and their families. As an American and as a 12-year veteran of the U.S. Army, I am proud to do whatever possible to support our troops. Learn more about the High Five Tour to benefit the Wounded Warriors Family Support effort and how you can help by visiting the organization's website.